Made from old and new apple varieties grown locally in the Annapolis Valley. The wine displays complex notes of baked apple, apricot and caramel, with a long, sweet finish of preserves. 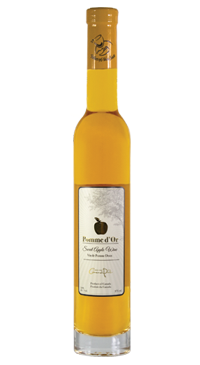 Delicious with apple crisp and apple pie or as an accompaniment to a cheese plate.